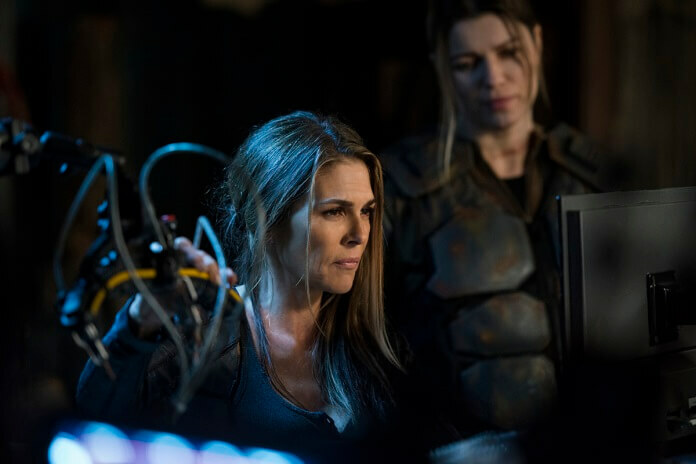 The 100 Season 5 Episode 9 Preview and Photos: "Sic Semper Tyrannis"
The CW’s The 100 season five episode eight was a wild one, with Clarke under arrest, Abby forcing Raven to help her just so she could obtain more drugs, Diyoza admitting she’s pregnant, and Bellamy knocking out his sister. Clarke and Bellamy found a way to kill off the worms, killing off Cooper in the process. They thought not being able to weaponize the worms would make Octavia surrender, thus fulfilling their promise to Diyoza. 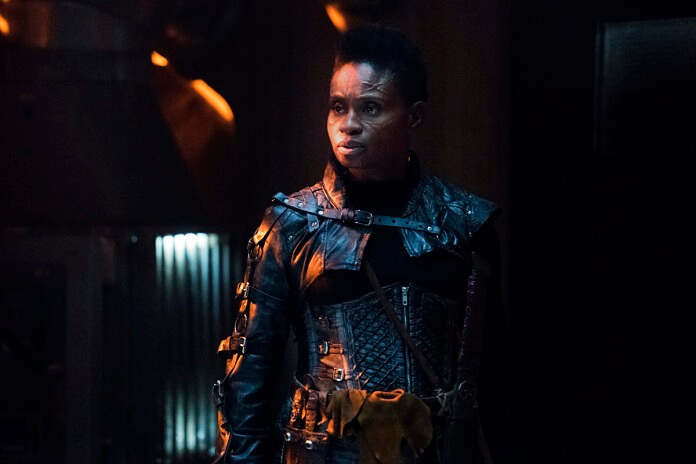 Indra agreed to help and gassed the worms, and once they were dead she attempted to convince Octavia the cost in lives would be too high if she went through with her battle plans. However, Octavia shocked Indra by revealing they were going to use the eggs, not the worms. Octavia immediately realized Clarke and Bellamy planned this to make it look like an accident. Octavia ordered Clarke arrested, taunting both Clarke and Bellamy with the fact the eggs are already loaded up and ready to go. As Clarke was taken away, she made Bellamy promise to keep Madi safe. 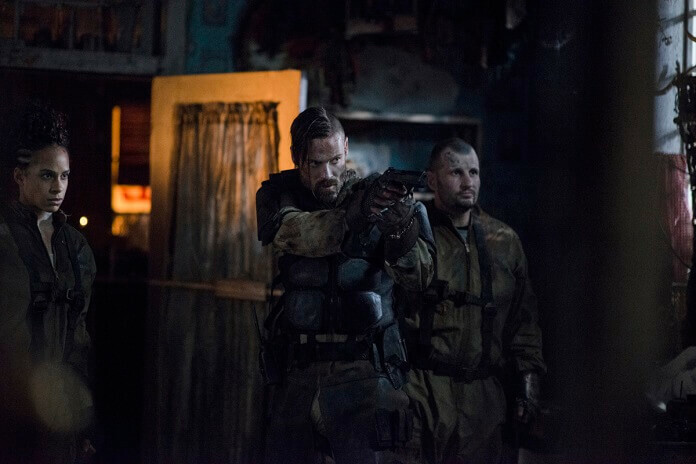 Meanwhile, John made a deal with McCreary (William Miller) in a desperate attempt to save Raven. Emori and John pretended to be McCreary’s prisoners and were taken to Diyoza. After being used by Abby, Raven is now ready to do what’s necessary to stop Diyoza. Up next, season five episode 9 titled “Sic Semper Tyrannis” airing on July 10, 2018. The episode was directed by Ian Samoil from a script by Miranda Kwok. 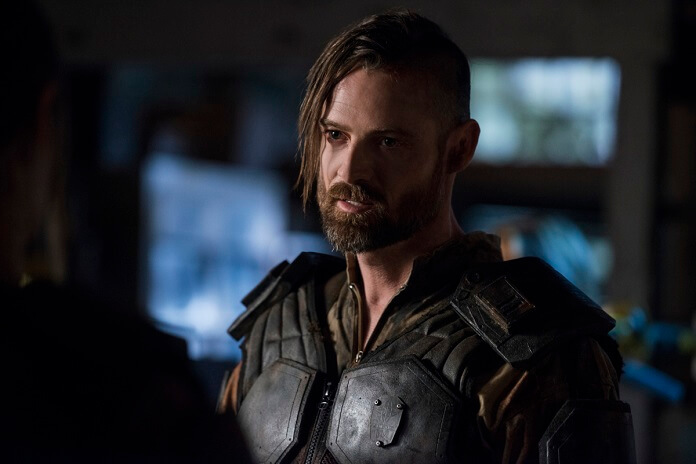 The season five cast includes Eliza Taylor as Clarke Griffin, Paige Turco as Dr. Abigail Griffin, Bob Morley as Bellamy Blake, Marie Avgeropoulos as Octavia Blake, Lindsey Morgan as Raven Reyes, Christopher Larkin as Monty Green, Henry Ian Cusick as Marcus Kane, Richard Harmon as John Murphy, Luisa d’Oliveira as Emori, Chelsey Reist as Harper, Adina Porter as Indra, Ivana Milicevic as Diyoza, Lola Flanery as Madi, and Tasya Teles as Echo. The “Sic Semper Tyrannis” Plot: FIRE — The growing fractures in Wonkru threaten to explode once and for all. Meanwhile, in Shadow Valley, Murphy (Richard Harmon) starts a fire, unleashing catastrophic results.